Nursing jobs are on the rise in the US. According to statistics the annual growth rate for careers in nursing is 26 percent. Top nurses earn around $ 65000 per annum, with some even earning as much as $ 95000. The lowest figure is $44000.Nursing is an attractive career option and is rated as one of the best jobs,with unemployment rate well below 6 percent. However,life as a nurse is never easy. A nurse is on her feet throughout the day,working as much as 12 to 14 hours a shift.Throughout the day she is expected to provide exemplary care, show tremendous patience in handling patients and keep in mind that she is accountable for her actions. There are State laws and Federal laws governing nursing throughout the USA. Before you can apply for an entry level nursing jobs in the US, you would have to obtain a bachelors of Science degree in nursing at the minimum. Employers may accept an associate’s degree or a certificate from a diploma program run by a hospital but these may curtail chances of advancement. The associate degree or the diploma program simply helps you get started on nursing jobs at the lower rung. If you wish to advance, you would have to get yourself a BSN sooner or later. If you have a Bachelors in Science in any other stream, then it is possible to get an accelerated BSN degree within one to one and a half years. It is mandatory for nurses to pass the National Council Licensure Examination.Advanced career options in nursing are open to those who obtain a master’s degree in advanced practices. Even then do not expect the highest paying jobs right from the moment you start. In nursing, as in many other fields,on the job, practical experience is important for career advancement. There are many options in nursing jobs in the US. Registered nurses can obtain positions in hospitals or in physicians’ offices. Their common tasks are to treat patients, care for them, explain the prescriptions and take care of records. Nurses can work in public health or in home care. There are openings for nurses in rehab centers, in business organizations, in the army and in schools. Nurses can specialize too. Nurses can specialize in assisting doctors during surgery or specialize in assisting anesthetists. Specialist cardiovascular nurses or Neuroscience nurses are in demand in the US and these are positions that pay well. The field is not restricted to hospitals and health care. Nurses in2012 have been foundto be exploring jobs in long term care facilities, in community clinics and in business organizations as part of their preventive care and wellness programs. Nurses who take the trouble to learn about pharmaceuticals and about insurance have a special advantage in their jobs in the US. Yale even offers Doctor of Nursing Practice programs to take you to the highest level. The interview process is critical for a nurse to land a job in a prestigious organization. That she must have the qualification and experience for the position are a given. A nurse must also project the right personality, answer questions correctly and ask a few regarding the position she wants to fill. Interviewers also look for other qualities in a nurse besides job experience and qualifications. Nurses are respected in the US and are well remunerated. Working as a nurse in the US has its benefits in that nurses work with the latest equipments and medical technologies and have opportunities to work in prestigious organizations to advance their careers. It is rewarding. Importantly, it is highly satisfying to know that you are helping someone each moment, each day. To sum it up, nursing careers in the US are lucrative and well paying but come with a load of responsibilities. A nurse must be prepared to make sacrifices in her personal life to pursue a career in health care. Then there is the matter of attitude. 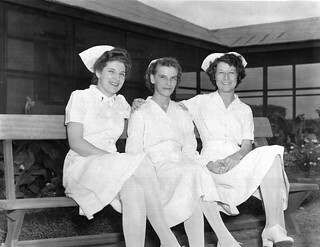 Nurses must have an inner sense of selfless service and devotion in order to succeed.